Often, the first signs of mold are visible, blotchy stains found on the floor, walls, or around the plumping pipes in your home. However, mold is not always visible. Other warning signs may include higher levels of moisture and condensation or a persistent musty odor. Mold is not only responsible for damaging building materials and possessions, but it can also affect your family’s health. Mold can cause breathing problems and can trigger asthma, allergic reactions or other respiratory ailments. Mold dislikes the sun and dry areas. It thrives in moist, dark environments, with a food source of organic materials to consume. Mold growth usually starts below ground level, in your basement or crawl space area. Dust mites thrive in similar conditions. While their presence is merely an irritation, their microscopic feces pose a serious health hazard equal to mold spores. Dust mites can cause respiratory issues, just like mold. These microscopic creatures defecate up to 20 times per day, with each mite creating waste the weighs up to 200 times its own bodyweight. Their feces, having the composition of 15 potent allergens, can trigger asthma and respiratory issues in humans. In fact, studies prove that dust mites are the number one indoor allergen we face in our homes! Your best bet to eliminate dust mites is by lowering the relative humidity in the environment to below 50%. Dust mites die when the humidity drops, effectively dehydrating them. At Ox Foundation Solutions, we want to improve your family's indoor environment with a basement or crawl-space treatment that eliminates mold, dust mites, and odors from your home. 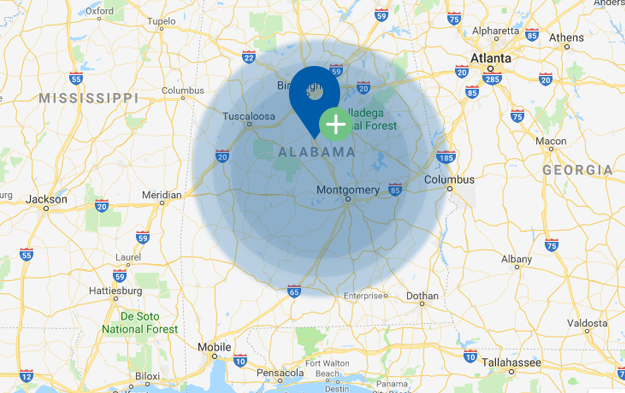 We have highly-trained professionals dedicated to providing more comfortable and healthier homes to the citizens of Alabama. If you are having issues with moisture control, basement waterproofing, or crawl space insulation, we are here to help. Don't delay, call 205-303-3404 today or contact us online.